In the olden days, Western cowboys were known to brand their cattle. The major reason for this was to mark ownership. Your business logo should also be able to serve the same purpose. Having it imprinted on your business cards, on your website or products, it communicates ownership. A logo is able to tell your potential customers and the world as well who you really are, the type of services or products you sell or what kind of benefits your consumers be offered. It should be able to speak out the benefit your product or service can offer to the consumer. We live in a world where most people are intrigued by interesting color and design. A good logo designed for your products or storefront should pique curiosity and draw the interest of your potentials customers. This can prompt them to look at your products and even purchase them. 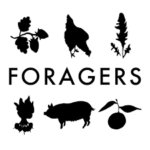 A company like the Forager’s Table Restaurant specializes in farm-to-table cuisines. They have a logo that entices their consumers into their establishment through their organic-styled logo. This draws hungry consumers who are searching for such specific eating experience. A logo for skin care products should be able to communicate the product’s benefits such as healthy, natural, fresh and fresh looks. Such effective simplicity is able to draw someone to pull it from the shelf and put it in their shopping cart. Symbols distinguish particular industries. A good logo should be able to represent who you are and at the same time distinguish you from others. You can’t associate a bear in the woods with what represents a company’s image. People can associate poorly designed logos with a bad market. As an example, the Bear Creek Capital one does a job that is completely different from what the bad image it portrays. 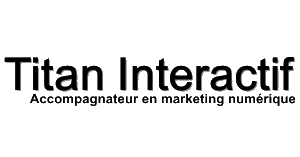 A company is able to redesign its logo from time to time to update its public appearance in the eyes of clients. Based on a marketer’s perspective, it makes sense. However, it might not be sensible from a consumer’s view. Changing a brand’s logo feels like a betrayal to the consumer. This is because the consumer’s brain has to be retrained to look for something totally different and new from what they initially knew. Brand loyalty is important and every business must foster it. Brand loyalty is built through recognizable and familiar logos. These logos should be able to be interesting, distinctive and bright enough for memorability purposes. Their placement on the shelf should ensure one is able to easily distinguish them from other products on a crowded shelf. A good logo is best if it is displayed on different media and resides on a variety of materials. Visit www.oneoutcreative.com.au to discuss more your need for a logo.